PstReader Pro by Encryptomatic LLC is a multi-format email viewer. It lets you search, print and convert Outlook Pst, Ost, Msg email files. It also opens Mbox and .Eml files. Instead of installing multiple software applications to view and convert email files, just use Pst Reader Pro! Convert Emails and attachments to PDF. Save multiple emails to a single PDF. Bulk print emails. Give exported files a special naming schema. Even though messaging has taken over our communications in our personal lives, nothing yet beats email for ease and persistence of communications. Business still runs on old fashioned email. If you have been in the workplace for several years, you probably already know how quickly email messages pile up. Because emails contain such a wealth of personal information and professional interaction, its important to store our emails in an easily accessible manner. 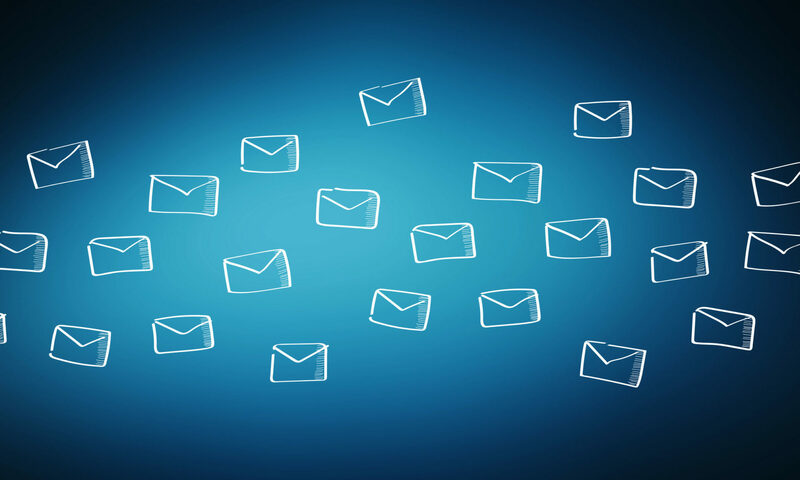 So what can you do if you have a million emails or more, gathered from multiple employers or email accounts? What if these emails are stored in different database formats, like PST or OST files from Outlook, and MBOX or EML files from Thunderbird? MailDex 2018 by Encryptomatic LLC is a multiformat email reader that can archive all of your email content into a database that you can search lightning fast! It can read many different email formats even if you do not have the native email client, like Microsoft Outlook, installed on your Windows computer. You can download and immediately begin using MailDex 2018 through the 15 day free trial.. MailDex is a project driven application. This means you can create as many different email archiving projects as you need. Each project can index an unlimited number email messages. 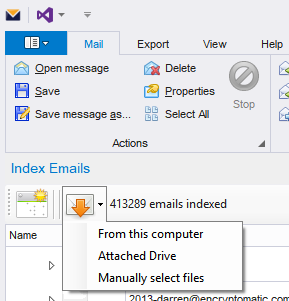 Step 2: Tell MailDex which email files you want to index. Select individual email files (.pst, .ost, .mbox, .msg, .eml, etc) or Windows folders containing email content. 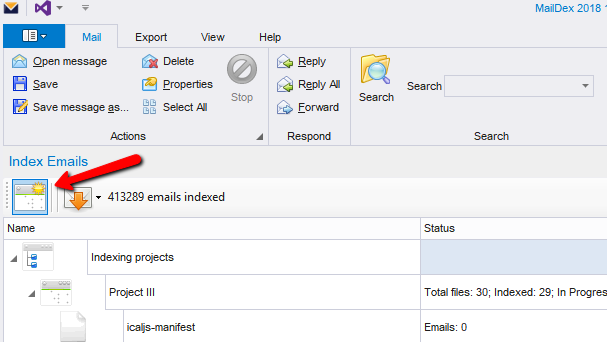 Add Emails to a MailDex Indexing Project. 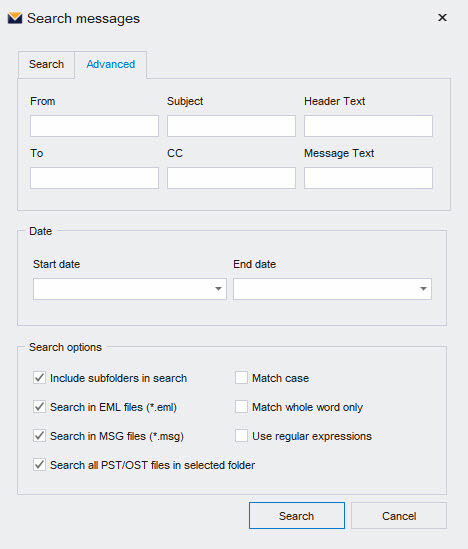 Step 3: When indexing is complete, enter your search terms to quickly locate important emails. If you have any questions about MailDex, call Encryptomatic LLC: 1-651-815-4902 x2, or email supportline at encryptomatic .com.